El nuevo iPad Pro está aquí con un nuevo diseño, y quiere demostrar que puede manejar un día de trabajo completo. Sin embargo, esta promesa va acompañada de advertencias. En esta revisión cubriremos la versión más pequeña de 11 pulgadas. 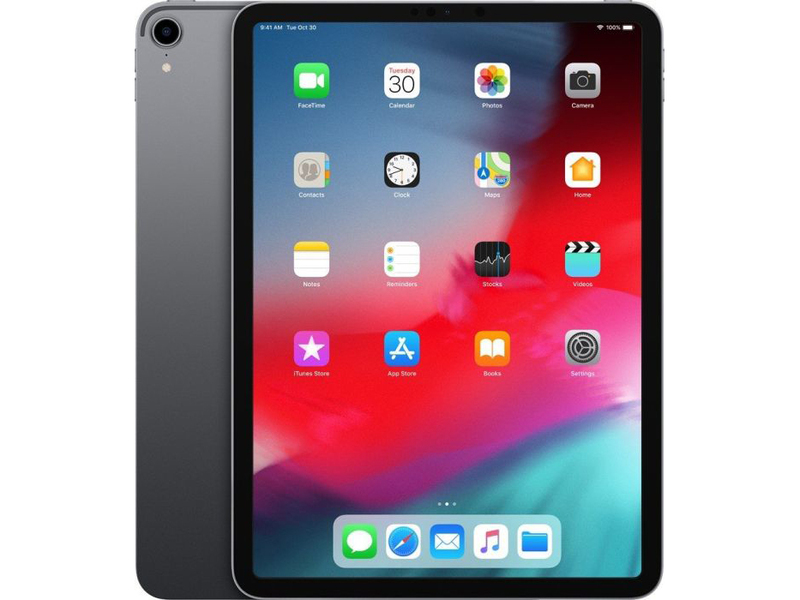 Hasta el 13 de marzo de 2019, en Media Markt tienen una promoción en la que hacen un 10% de descuento en tablets iPad. Entre estas ofertas encontramos el Apple iPad Pro 11 que, en su versión de 256 GB de memoria interna y conectividad Wifi, tiene un precio de 944,10 euros. En Amazon han igualado el precio de esta oferta, por lo que también podremos comprarlo rebajado en esta tienda. En la siguiente entrada veremos qué nos ofrece este tablet de gama alta en base a comentar sus pros y contras. Cuando realicé el pedido pensaba que iba a analizar un iPad más, pero no ha sido así. Los pequeños detalles de conexión con accesorios, del nuevo diseño de los bordes, la gran pantalla o lo bien que va con iOS12 me han hecho decir más de un Wow durante el análisis. Un dispositivo que vuelve a emocionar, un dispositivo que puedo recomendar sin género de duda. La mejora respecto a la generación anterior es evidente, incluso de manera muy seria en términos de diseño y prestaciones, pero no del lado del software. Es su “talón de Aquiles” actualmente. Ahora seguiremos probándolo de manera intensiva para en unos días poder contaros de manera completa lo que el nuevo iPad Pro nos ha parecido. 80% iPad Pro 2018 Review - Tablet, Laptop Replacement, Or Both? This is easily the most impressive iPad yet, and the best tablet money can buy. Is it a replacement for your laptop though, as Apple hints? That depends on what you use a laptop for, but it's close. There's no doubt that the iPad Pro for 2018 is a stunning device in various ways. That includes the price which is even higher than last year, with the older model still on sale at the same price. One thing that is an issue with the new iPad Pro, is the prohibitive pricing. Just the 256 GB LTE iPad Pro will set you back by Rs 99,900. If you want the Smart Keyboard Folio Cover, throw in an extra Rs 15,999, and if you want the Pencil 2 (first gen Pencil does not work with the new iPad Pro) then toss in another Rs 7,999. That means you are spending around Rs 1.2 lakh for an iPad Pro — the cost at which you can get the new MacBook Air, MacBook Pro or even a Dell XPS 13. Apple product pricing is reaching stratospheric (Preposterous?) levels. On top of that, when you hear of issues like the iPad Pro bending or no OIS in the camera, it feels like Apple is simply asking for too much. The 11-inch iPad Pro starts at $799 with 64 GB of storage, with more storage and cellular connectivity costing extra. The 12.9-inch models are $200 more expensive at each price point, with the most expensive model in the range a hefty $1,899. Silver and space gray are your color choices. With all of that said, there’s no doubt in my mind that the latest iPad Pro is the best iPad ever. It’s the fastest. It offers great battery life. The display is second to none. But it is still, at its nature, an iPad. Apple has been working on the productivity angle for a few generations now, and while this is their best stab at it yet, the iPad Pro is still in that awkward gap between a content consumption device and a traditional laptop or the Windows convertibles that the original iPad inspired. What you get then is a device that's certainly a lot more professional than the base iPad and a lot more useful for productivity use cases, but also something that feels more like a larger, more expensive iPad than the kind of top-tier machines the iPad Pro is intended to compete with. A stunningly built tablet that needs a better operating system to really make the most of all the power contained within. Add all this up, coming to over a grand, and you might be better off with a different Apple product – perhaps a MacBook, iMac or simply a cheaper iPad. All that said, the iPad continues to be a great media & entertainment device of impressive capabilities and portability. If you know exactly how it's going to fit into your lifestyle, then this latest edition will surely not disappoint. Should you reach for the 1 TB version, though? We're not so sure. The 256 GB model will get you a long way and will not break the bank, so that may be this year's most value-packed option. Once again, Apple blasts ahead of the pack, with a stylish, powerful tablet full of creative and entertainment potential. The iPad Pro is fantastic hardware that will delight everyone who uses it. If you already use the iPad Pro to get work done, you’ll find it a great upgrade. If you’ve considered moving to the iPad Pro, it’s worth investigating if you can do your job from it—it’s more flexible than you might think. That said, anyone who uses the iPad Pro extensively will tell you that there are still too many places where you hit the wall and either need to find a workaround or just give up and go to a PC. Apple needs to eliminate as many of those barriers as possible. This iPad Pro deserves better. 80% iPad Pro Review (2018): Am I wrong, or is Apple? Perfection is impossible, that’s inescapable. What I’d like to see from Apple is the acknowledgement that, though the iPad Pro can’t be the perfect computer for everybody, it has the willingness to be flexible in ways that accommodate the divergent ways of working its audience arrives at the Apple Store with. That, along with a pipeline of pro software that doesn’t compromise in the way that tablet apps traditional might, will turn what’s undoubtedly the best tablet on the market into a candidate for best computer, period. The iPad Pro 11-inch is excellent, and easily the best tablet Apple has ever made – but you'll need to know how to get the best out of it. It's designed, as the name suggests, for the professional, and those in creative and other lines of work will love the power, precision and overall quality on offer. If you're a 'standard' user, then you'll be buying the iPad Pro as a luxury device and media powerhouse – and you'll be paying for the privilege. So, there you have it — everything about the 2018 iPad Pro is better than its predecessors. It’s beautifully designed with a stunning Liquid Retina display and unbeatably fast. But is it worth your hard-earned cash? Like earlier tablets from Apple, and the market on the whole, it is laborious to name this a ‘must-have’ machine, particularly with this yr’s ‘fundamental’ iPad performing so properly. However there’s loads to be impressed with on the brand new iPad Professional 11, and for those who’re tempted then we urge you to trot to your Apple Retailer to take a more in-depth look. At these costs, I ponder, would you have got been higher off with an older iPad mannequin and a laptop computer as an alternative? Final 12 months’s 10.5-inch iPad Professional began at $649 for a similar quantity of storage.However, when you had been dreaming of an excellent higher artwork device at a still-super-high worth, possibly this was the iPad you had been ready for. Much more than the beefed-up , these iPads will solely be pretty much as good as the brand new apps that take advantage of them.In fact, we’ll have a full evaluation on CNET in some unspecified time in the future. These are simply early ideas in a demo room. The new iPad Pro has an all-new, thinner design; faster A12X Bionic chip, FaceID in any orientation — while you’re sitting or standing, with iPad Pro on your desk or lap, with the new Smart Keyboard Folio and new Apple Pencil. It hasadvanced new cameras and sensors for AR experiences USB-C connector, louderspeakers, faster wireless and more, all packed into a thinner device that hasup to all-day battery life. It's too early to give a proper verdict on the 2018 iPad Pro: that will have to wait until we drag it kicking and screaming into our testing lab and see what sort of performance we can coax from those high-power components. All things considered, the new iPad Pro tablets are impressive tablets and will surely cement Apple’s number one position in the tablet market. Personally, the Mac will always remain my primary computing device but I can definitely appreciate the iPad Pro’s remarkable design, gorgeous display, and breath-taking performance. The latest iPad Pro tablets are easily Apple’s most stunning tablets yet. From the time I had with the new iPad Pros, it's the new Pencil that feels like the real innovation - though clearly much of its features come from within the new iPad. The additional performance of the new chips will only be a benefit if app developers really find a way to take advantage of them - the current iPad Pros don't feel like laggards - but it will be interesting to see what Adobe, Affinity, Autodesk and others can make of the potential of these new iPad Pros. The 11-inch iPad Pro will be available in ‘Silver’ and ‘Space Grey,’ with pricing starting at $999 CAD, while the 12.9-inch iPad Pro starts at $1,249 CAD. The new Apple Pencil will run you $169 CAD and the Smart Keyboard Folio is priced at $239. 100% Apple iPad Pro 11 2018 Das beste Tablet – doch ist es zu teuer? Обзор планшета Apple iPad Pro 11"
Apple A12X Bionic GPU: Estas tarjetas también deben ser capaces de aguantar todos los juegos actuales, pero la mayoría de ellos en configuraciones de detalles medios y bajos y con bajas resoluciones. Juegos más antiguos, o menos exigentes todavía pueden ser jugados con buena calidad de gráficos. 11": Este es un tamaño típico para tablets y pequeños convertibles. Grandes tamaños de pantalla permiten resoluciones más altas. Por tanto, los detalles como letras son más grandes. Por otro lado, el consumo de energía es más bajo con diagonales de pantalla más pequeñas y los aparatos son más pequeños, más livianos y más económicos. 0.468 kg: Este peso es típico para pequeños tablets. 89.89%: No existen muchos modelos que sean evaluados mejor. La mayoría de las evaluaciones obtienen resultados que son un poco peores.